The Hartland Chamber of Commerce welcomed a new member recently. 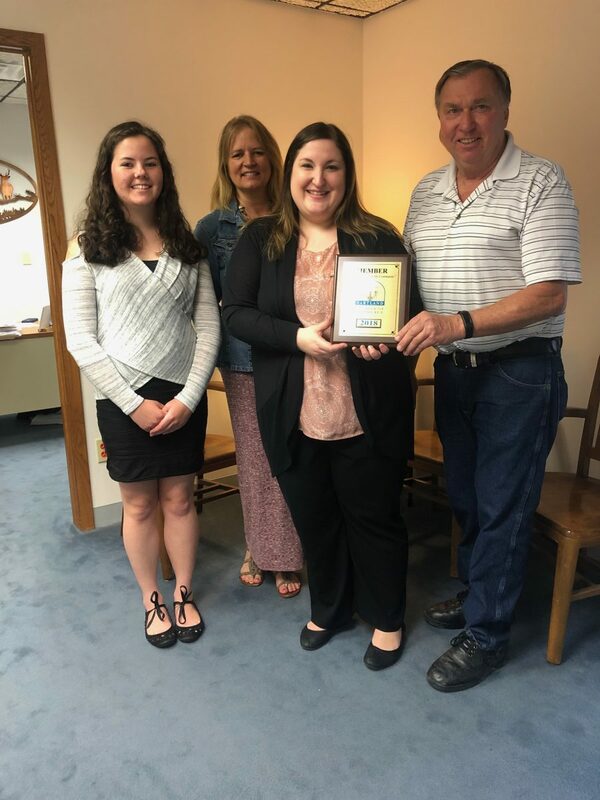 Ambassador Nicole Hanson of First Bank Financial Centre (FBFC) presented Dennis Krause of D&L Financial Advisors with a membership plaque from the Chamber. Also pictured from D&L Financial are (l-r) Brandi Brewer and Lori Troyer. D & L Financial Advisors provides personalized client investment solutions and education. Over the past 40 years, they have facilitated professional relationships with CPA’s, Attorneys, and Insurance Professional to provide full investment services. D&L Financial Advisors, LLC is located at 555 South Industrial Drive, Suite 11, Hartland and can be reached at (262) 367-6656. For more information, visitwww.dandlfinancialadvisorsllc.com.